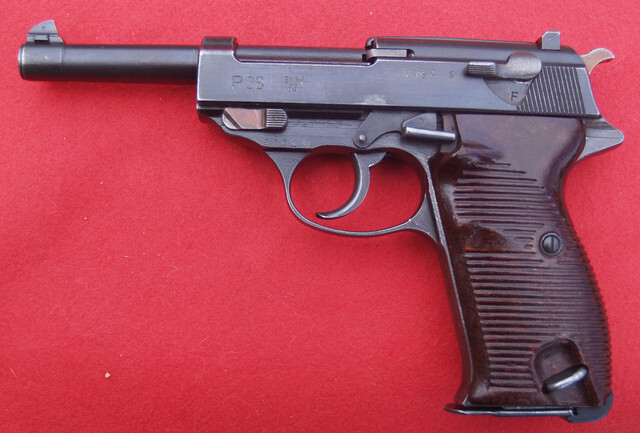 Here is a French post war Mauser serial number 9364g produce at Mauser during the French occupation for use by their police units and Indochina. This gun did not have metal grips but AEG late war grips. 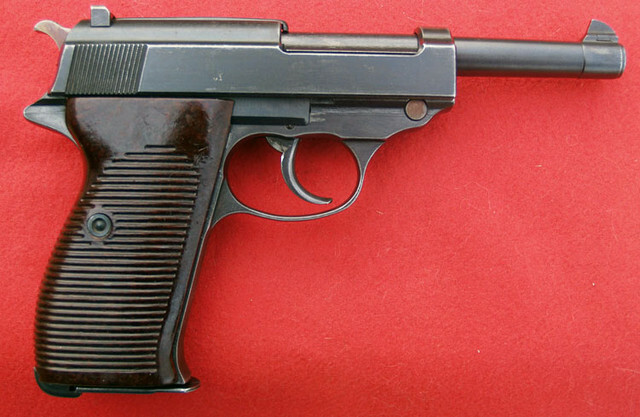 The Black Perlon (polyamide 6) grips have been noted too in these guns before the metal grips were used. This gun also had a JVD magazine and no import stamps. The gun is made of all German produced parts. Whiting was originally in the slide stampings. I have removed most of it but some still remains. There are no import marks. 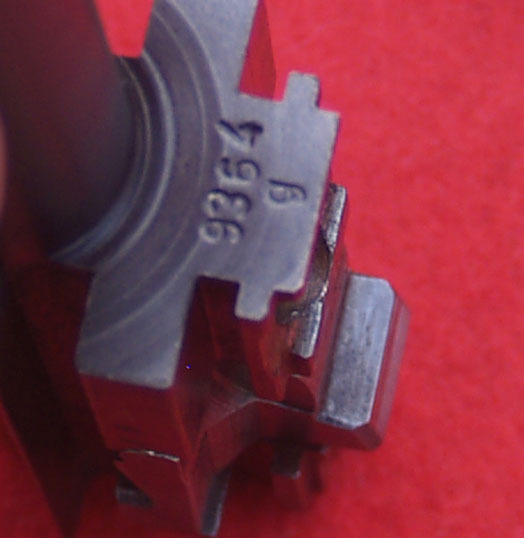 Close up of Barrel serial. Looks like a nice example to me. Thanks for posting! Your welcome Jim. I got it to go with the German SVW45 I have. Now my Mauser collection is complete except for the police P.38 's. Keep the faith. Never say never.